June 9th: a night to love or a night to hate? A night to embrace or a night to erase? College freshman, Lacey Shyver, has no clue. Growing up with a neuromuscular disease. Lacey knows people only pretend to be nice—pity her, really, for looking different. That is, until graduating senior, Blake Nivey, enters her life. Breaking down her walls and lifting her spirits with just one touch, he’s not like the others. He cares about her well-being and makes her laugh. He unlocks something within Lacey that captures her soul, yet Lacey’s internal struggles surface. Is she just a charity case for him? Blake can’t possibly like someone with limited mobility when there are prettier girls wrapping their arms around him. Or can he? But when Lacey finally sees where Blake’s heart truly lies with her, everything changes. Because once June 9th begins, it never ends. the arched glass doors of Zenchieze. “I’m here to work and learn,” I said. “Yeah, me too,” he said sarcastically. “Education is not a joke. Why don’t you care? He slid down to his knees, pleading. “Please? This review is is based on an old version of an ARC that had not yet been fully edited . 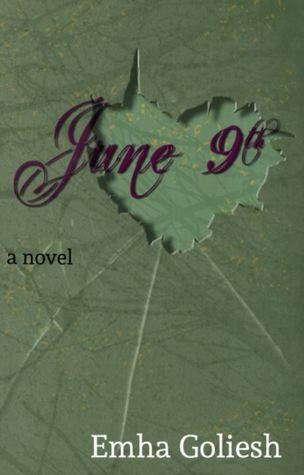 June 9th- a book by Emha Goliesh about the struggle of life, but based on a totally different basis. Lacey, the female protagonist, is having a neuromuscular disease which seems to control her whole life. Whatever she does, the disease always finds a way to influence her life . Even then she still tries to take part in life as much as she can, especially when it comes to her studies. Besides, she also has to deal with other problems which are typical for people at her age- just with the tiny difference that for her it´s all new and unexplored territory. If there is one thing I especially liked about this book, then it´s the way the author described the female protagonist´s struggle with life. Something she described very authentical as she is confronting the reader with a lot of typical daily situations. Nothing that seems unrealistic. Definetly my highlight. I like the way she intertwined the “dealing with a disease part” with a story that deals with all the topics we were confronted with at one point in life. 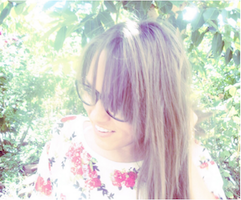 It´s nothing totally unknown, nothing totally unexpected. But definetly the basis for a good story. On the other hand I have to say that I had quite a lot problems with the way the story-line developed. In the beginning everything seemed fine, but with more and more pages I turned, I felt like I was missing out on a part of the story. I thought it might was the case because of all the things I had in mind because of this quite stressful holiday season, but even after I put this book away for some time I still felt like I just couldn´t connect with the story-line at all.I felt bad for it as the plot sounded really good, but something was definetly off: I am not sure if it was the pace or just the fact that the author lost, that´s my opinion, her track which is why there suddenly were so many ends which didn’t make any sense.While I enjoyed getting to know more about the protagonist, it was difficult to concentrate on the story itself.Suddenly too many storylines added to a in general really nice story that definetly has got more potential.